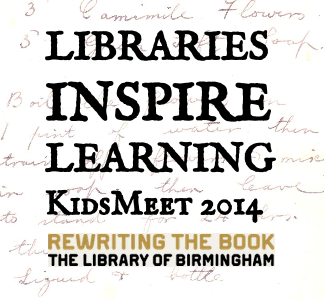 At ten thirty (in the morning), we arrived at the new Birmingham library in town. That day Maddison , Chloe.s and I were doing a presentation and dance based on Bridgit Mendler. We had to wait a while to get into the theatre, but it gave us time to have a look around the main part. Finally, we sat in the theatre - my nan was there to watch. Up to then my highlight of the day was actually doing the presentation and the dance; my heart was thumping but when it was over I was relieved. Not long after we had our lunch - on the third floor terrace. It was so hot! It was a really exciting lunch, we could see all of the views and everything seemed to be so small. We had about a half an hour lunch and a very quick run around. Maddison and I played a game called ` what if’. It was full of laughter. Right at the end of our day we had a get together in the theatre. Holly and Lourdes handed out all of the rewards. My group ( Madison , Chloe.s and me) won the reward for best presentation we were so proud of ourselves. We could not believe that we won the reward. Each class including Wheelers Lane Primary were given a box of chocolates. That is a lot of chocolates - in total seven boxes of chocolates was handed out. We went the the gold dome at the top.